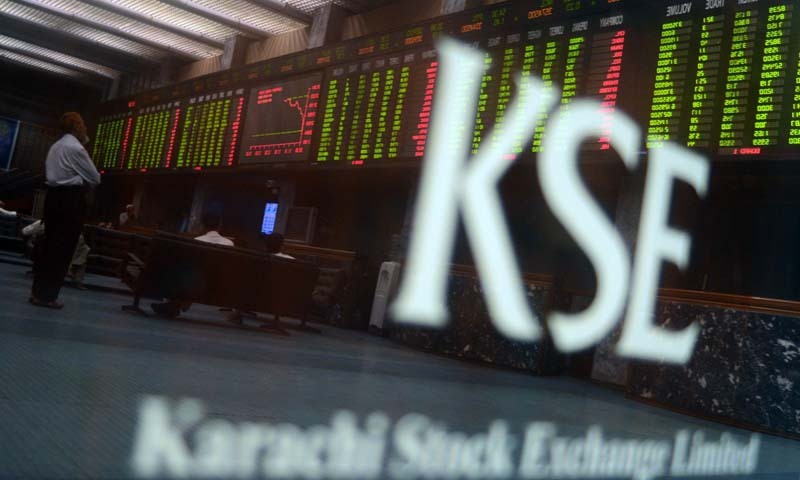 KARACHI: The stock market was choppy on Thursday as investor participation continued to dwindle with the end of the year approaching. The KSE-100 index closed flat, with an upside by mere 3.34 points to settle at 25,370.03. The foreign investor participation also was not evident as fund managers were on the Christmas and New Year holidays. Yet the cement stocks continued to climb with 12 out of 17 stocks listed on the sector closing in the green. Fauji Cement was again the volume leader, accounting for 8 per cent of the day�s aggregate turnover. Oil and gas sector was seen under pressure on Thursday with four of the heavyweights OGDC, POL, PPL and PSO settling at a lower level. Engro regained some of the lost value, after market talks that the disruption in gas supply was baseless. Investment Analyst at Next Capital Ltd, Ahmad Tariq stated that Engro defied market sentiments and closed up by Rs4.76 nearly reaching its recent price levels. The textile sector was seen consolidating at current levels however remained only second to cement in terms of volumes. Banks once again failed to perform but were expected to attract investor interest in the coming days as results start pouring in. Analyst Ahmed Tariq observed that a cautious stance was adopted by institutions and individuals alike ahead of the last Friday in December with monthly features reaching settlement on Friday. Analyst Ovais Ahsan at JS Global said that FFC declined on anticipation that approval of concessionary gas rate for Engro could mean cut in urea prices. Glaxo and Abbott gaining on reports that medicine prices may be raised. PTCL continued to decline on the back of confirmation of rumours that Zong will get an LDI license which would mean that current operators will have to give up some of their market share of international traffic under the prevailing ICH agreement in the sector.